Something big went down. In India, Microsoft launched a new feature Phone, Nokia 216. Surprised? Yeah, thought Microsoft has sold its Feature Phone line to FIH Mobile of Foxconn earlier this year. Maybe not! Microsoft may not stop producing feature phone due to the rate at which it sells, even though their hope of having each user signup for a Microsoft account may not fully realised. The company also has given up on their Lumia brand, stopping the production. After laying off many of its workers in other to shake off the huge effect of buying Nokia Phone business. 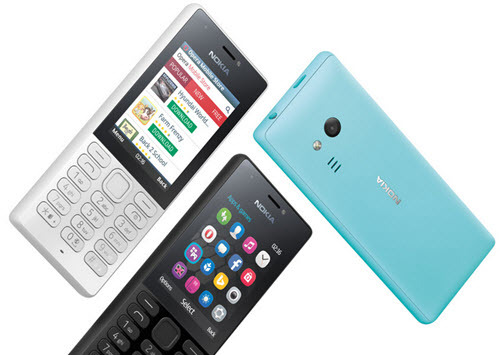 The new feature phone, Nokia 216 is one of the most basic phone the company ever produced and sells for about $35. It features a rear and front camera with 0.3Mega Pixels, 2.4inch QVGA display, Series 30 OS, Opera mini browser and a headphone jack. Report says Microsoft is also working on a surface phone.